10/04/2019: Both food and service are above and beyond expected at this lovely pub. Cannot recommend it highly enough. 31/03/2019: I am so impressed by this pub. I was looking for a venue for a small post-funeral gathering and had a total lack of response from other local venues. When I contacted Ye Olde Ship, Jeremy was fantastic and took so much trouble to respond. We had a lovely lunch. 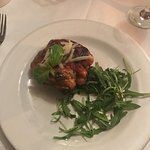 The staff were all very welcoming and supportive, the atmosphere was relaxing and authentic and the food was beautifully fresh, tasty and well-presented. I can't recommend the Inn highly enough. It's rare to find somewhere where so much attention is paid to pleasing the customer! 11/04/2019: 4 of us had the tasting menu plus cheese, along with the wine flight. Thoroughly enjoyed all courses, and enjoyed one of the wine selection so much we had another glass. Good, friendly staff. Would recommend. 05/04/2019: Four of us lunched here this week. Lovely place, superb service, and generally Five Star food. Had the set lunch menu, not cheap, but the food was terrific mostly. 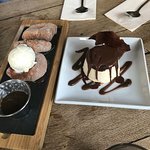 19/04/2019: We were recommended by 2 colleagues to come and have a look and try out the food. We came for lunch on Good Friday, chose a 2:30pm slot as our young daughter naps over lunch time. Understandably they had had a very busy first sitting so were busy clearing tables and getting ready for the second sitting. 18/04/2019: My vegan daughter and I had a wonderful light lunch to check out the menu before booking a family birthday meal. Great choice, fresh ingredients, lovely presentation, excellent service. This place is a proper all rounder. And you can sleep off any excess in one of their rooms. What's not to like?! 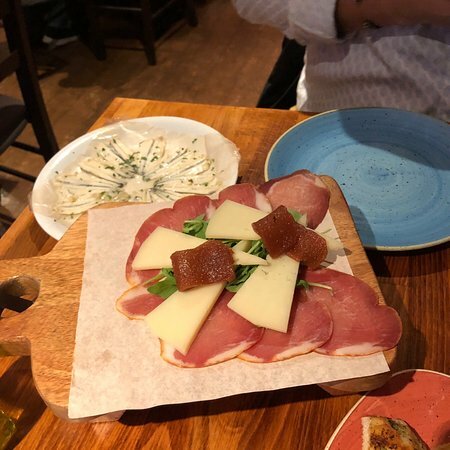 29/03/2019: The tapas here is amazing! A nice little selection across the board and the venue is simple and relaxed. 19/04/2019: Needed something local outside Guildford with free parking and easy escape. 18/04/2019: We visited with friends for a Saturday night dinner - the place was absolutely packed so I was very glad that I had booked! Even though it was frantically busy the service was smiley and welcoming and the food excellent. My starter of crispy sesame king prawns with salt & pepper squid with sriracha mayo was divine! Lovely night out. 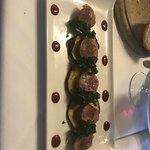 19/04/2019: Charming staff, lovely food, value house wine, a great experience will definitely go back to this tucked away Italian restaurant. 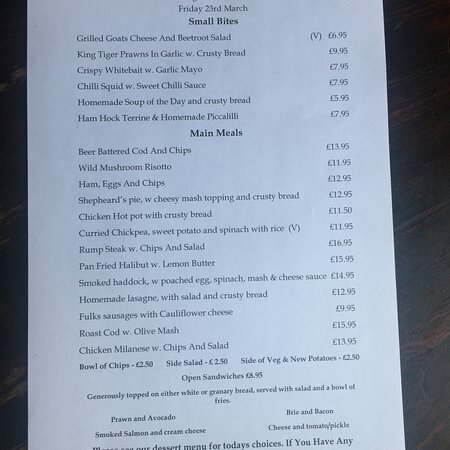 19/04/2019: Lunchtime on a Thursday and we were lucky to get a table as the place was buzzing. 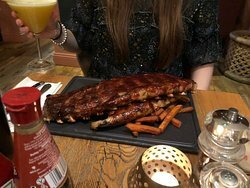 13/04/2019: We are never disappointed here - staff are friendly, cosy atmosphere and above all, good food. Over the years, we have visited many times and hope to continue. 13/04/2019: I visited last night with my husband and will 100% be back. 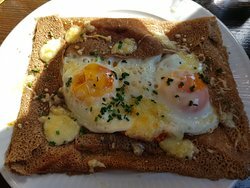 19/04/2019: We have visited Cote Restaurant in Guildford a number of times either alone or with friends. Our experience was invariably excellent. The restaurant is situated near the centre of Guildford, off the High Street. Opening the restaurant door activates the ‘Hello, How are you today’ girl that takes you to your table. The restaurant is far larger than the impression one gets from outside. We like the fact that we are given a number of tables to choose from rather than being pushed to a place convenient to the waiters, which happens in most restaurants. Almost all restaurants nowadays provide something complimentary, like olives as an appetiser or mint chocolates at the end of the meal. Cote provides complimentary ‘tap water’ that is delivered to your table with aplomb as if it was vintage wine! The set menus provide extensive choice of items as starters, main meals or desserts. We strongly recommend the caramel dessert. The quality of food is very high and the portions are more than adequate. The waiters emanate from all the parts of the globe, Latin America, Central Europe, North Africa etc., and are charming and efficient. In summary this is an excellent restaurant, providing excellent value of money that will not disappoint even the most demanding. Strongly recommended. 15/04/2019: Have visited this light and airy Cote branch several times and it never disappoints. Each visit has been Saturday lunchtime when I've booked a table as it gets very busy with loads of tables taken by 1pm. Friendly and attentive staff, nice buzzy atmosphere and good solid dependable food. 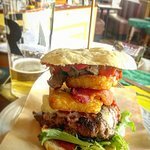 Having said that we always order the burgers or steak frites so can only really comment on these choices which are cooked well, tasty and value for money with a couple of glasses of wine thrown in. A good place for a lunch when shopping in Guildford and meeting up with friends. 14/04/2019: As the title suggests it’s Italian, it is true to its roots, including the staff...it offers an excellent A la Carter menu, lunchtime special together with “today’s specials” including starter, fish and pasta special of the day. 18/04/2019: There is excellent atmosphere in Robin Hood! Fabulous food and good trinks! Thank you Veru! You have to try it!!!! 17/04/2019: This is a great takeout place we use but it is full to the brim for those sitting, small amount of seats if you want to sit in. 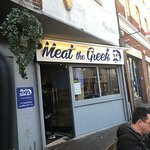 03/04/2019: I visit Guildford once every month and always get my lunch at Meat The Greek. I order online for collection by myself. They know how to cook typical Greek café type food here. I like to practice my (not so good) Greek when I go in and they are very obliging. The food comes from Greece, it is prepared and cooked by Greek people and is served with Greek hospitality. Highly recommended. As they say in Greece "Nostimo"
19/04/2019: Decided to find a nice country pub to have early evening meal with two teenage children. We chose the Cyder House Inn as we had seen good reviews an pictures of mouthwatering food on FB adverts. Although it's just 5 mins off the Hogs Back road it just enough distance away to be in a lovely tranquil village location. Parking was not an issue. There is a nice sized beer garden with plenty of seating out the back as well as a few benches out the front of the pub. The pub is well decorated in side and has a nice bright and open feel to it. 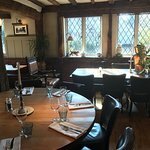 It is basically divided in two with predominantly restaurant seating if you go left through the door and a nice homely bar setting to the right. 27/05/2014: las Antiguas zonas han sido cambiados de split, algunos cómodas, algunas prácticas (si toma su perro) pero con una cálida bienvenida, buenas cervezas y un acogedor fuego en invierno. 18/01/2014: Mi esposa y yo, visitamos Ye Olde Ship Inn varias veces y nos encanta el lugar. El interior es muy bonito y muy acogedor, especialmente cuando la chimenea. Para ser sincero, nunca he probado nada más pero la pizza y me encanta, yo personalmente creo que es la mejor pizza en la zona. El personal es muy amable, siempre sonriente.